A skilled and educated workforce is critical to the success of any business or organization. 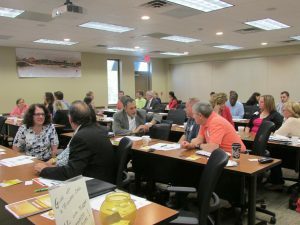 The Capital Region Chamber is committed to providing opportunities for business to attract, retain, develop and grow the Capital Region workforce by offering a variety of programming including personal and professional development programs and mentoring and networking opportunities – designed to meet diverse and dynamic needs of the community. Companies of all sizes face the ongoing challenge of keeping employees’ skills current and future-focused. Training programs are an important investment which can pay measurable dividends over years. BusinessU provides a comprehensive approach to employee development and training that will continually adapt to the needs of our region. The Capital Region Chamber and The College of Saint Rose, Huether School of Business have a long-standing partnership that provides Chamber members with the opportunity to host a student intern from the Huether School of Business. The internship partnership assists our members in identifying new talent and supports our commitment to increase the supply of qualified employees here in the Capital Region. 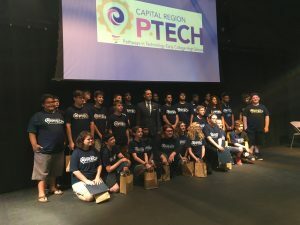 Pathways in Technology Early College High School, more commonly known as P-TECH, is a four to six year program (grades 9-14) focused on engaging students in hands-on, project-based learning to be successful in careers in science, technology, engineering and math. Students who successfully complete the program earn a Regents High School Diploma and an Associate’s Degree at no cost (to the student). The idea is to provide a direct path from high school to college to career to ensure a steady pipeline of educated professionals.